Earlier in May two men were killed in Portland, Oregon for intervening when a man began screaming xenophobic insults at two young women on a train. 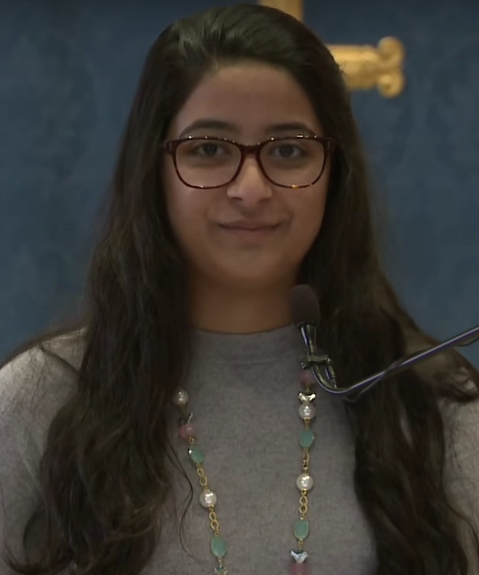 I found myself admiring their bravery to act without hesitation but I also felt an overwhelming sense of worry for the students and teachers I work with at Facing History. 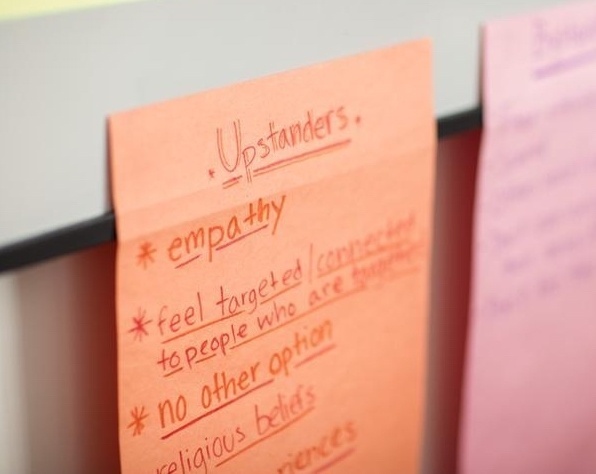 We introduce them to the theme of “choosing to participate” and to the term, “upstander,” an individual who takes action in the face of injustice. But the deaths of the upstanders in Portland were a stark reminder that such acts can carry great risk. How then, as educators, do we reconcile both calling young people to be upstanders and also not wanting to recklessly expose them to violence? In February 1968, Thomas “T.O.” Jones led 1,300 black sanitation workers in a citywide strike against Memphis’ abusive treatment of its black employees. Facing History is honoring Jones and 13 other Memphians who chose to confront injustice and defy indifference through our Upstanders Mural. 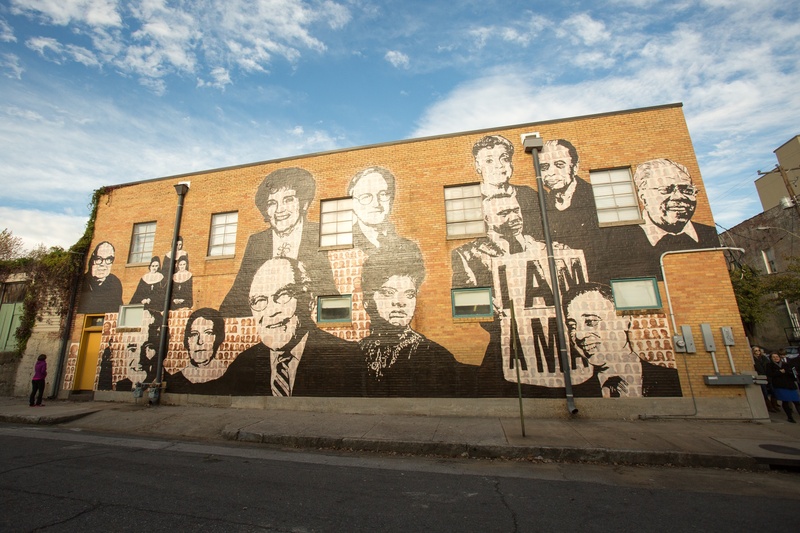 This commnity-driven public art display is located across the street from the National Civil Rights Museum and steps away from where Martin Luther King, Jr. was assassinated. We spoke with Dory Lerner, Museum Educator at the National Civil Rights Museum and a Facing History volunteer, about the importance of the mural in the community and how the stories of these upstanders can be blueprints for changemakers today. Sir Nicholas Winton, a British humanitarian who saved more than 650 children through the Kindertransport during World War II, died on July 1, 2015, at the age of 106. Winton always humbly insisted he wasn't a hero; yet his inspiring story illuminates how courage, initiative, and compassion drive people to make a difference. It could have been me. In fact, it could have been any of us. By us, I mean the people all over this world who enter churches, synagogues, mosques, and other sacred places of worship to study, to pray, to listen, to sing, and sometimes even to mourn. 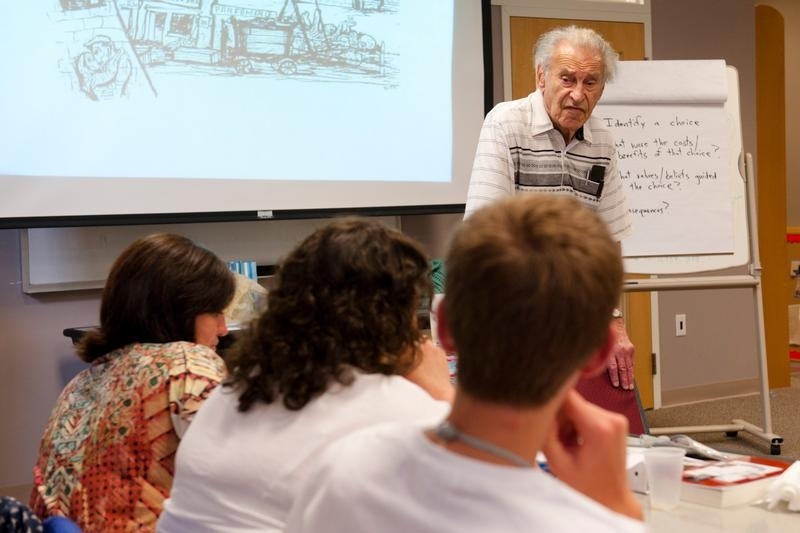 Next week marks Yom HaShoah, or Holocaust Remembrance Day. While Yom HaShoah affords us the opportunity to honor the memory of those we lost during the Holocaust, it's also a time to commemorate and celebrate the vibrancy and diversity of the lives and communities decimated during this dark moment in history. 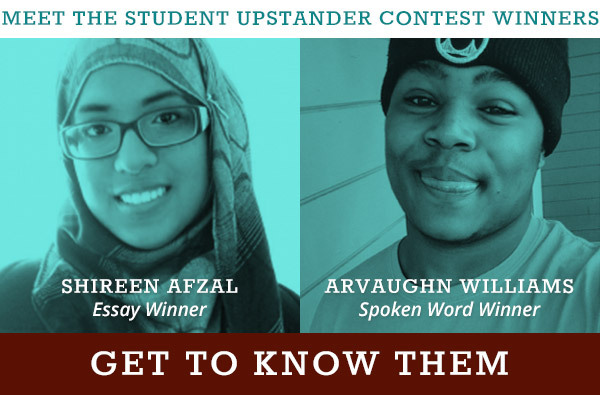 Meet the Winners of Our First Annual Student & Alumni Upstander Contest! We at Facing History are so pleased to announce the winners of our first annual Facing History Together Student & Alumni Upstander Scholarship Contest. How Can Understanding History Nurture Civic Participation? 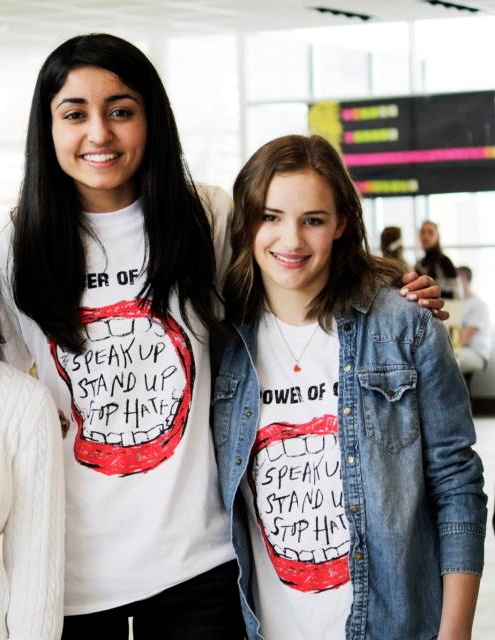 As we prepare to spend tomorrow thinking about ways to nurture civic participation in young people, we wanted to republish a great story about two Facing History students whose study of history and the choices people make inspired them to petition the Oxford English Dictionary to add the word upstander to its pages. 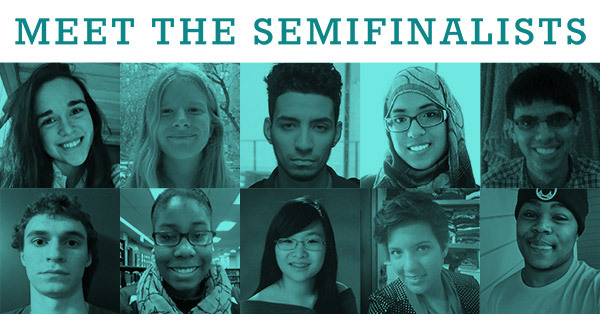 To see the impact Facing History has on young minds, look no further than our Student & Alumni Upstander Scholarship Contest semifinalists. Their visions for a world of peace and justice are inspiring and instructional, and each demonstrates a unique, thought-provoking worldview. This winter has been full of stark contrasts around the world. Frightening hate and violence dominated the news, yet, even in the face of the brutality, we have seen people from different walks of life bridge differences and come together to speak up against intolerance. As an educator and parent, I am always thinking about why some people learn to come together during difficult times, to be kind in the face of unkindness, and to stand up for what is right.